This flavor produces its taste just like the main thing. Cinnamon red hot flavoring is made with the highest quality ingredients. Type: Cinnamon Red Hot Water Soluble Flavoring. Ingredients: Natural and Artificial Flavoring and Triacetin. USP Kosher Grade Flavoring. Usage Rate: 15-20% for E-use. 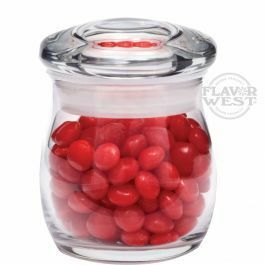 Flavor suitability: beverages, chocolates, drinks, vegetables, fruits and chocolate desserts, caramel, bakery recipe and more. Specific Gravity: 1.12 No Refunds on Flavoring. I love cinnamon. The smell, the taste, the burn and everything about it. That being said, I love this flavor! Side note - proceed with caution. A little goes a LONG way. My recommendation is to start with a 3% mix and work your way up if you can handle it. At 3%, I get amazing cinnamon flavor without feeling like my throat and lungs are being ripped out of my chest. You'll have to mix it for yourself to see what works for you. My 15% and 10% mixes damn near killed me...so to speak. 5% wasn't too bad but then I dropped to 3% and found a mix I can enjoy. Did I mention that I love this flavor!! I have been vaping this flavor for about 4 months now. Its verry flavorful but I wouldn't suggest mixing it very far over 10%, start around 7% and work your way up from there.This flavor will damage plastic tanks so get yourself a glass one, you will be glad you did, it's amazing!